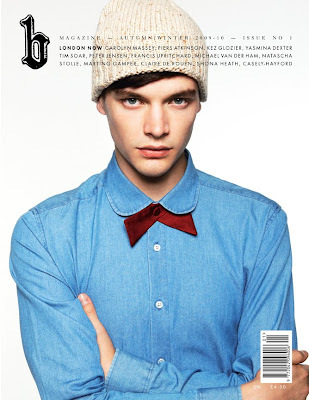 In addition to delivering a chic, modern preppy S/S 10 collection for its b Clothing range, Menswear Day saw them dipping their toes back in to (after the success of their Pop-In Paper last year) into print publication with the launch of the first issue of b Magazine. Having run around the shows like a blogging madman all day, I missed the launch party and chose to have a quiet night in with the laptop writing up shows whilst stuffing my face with fish and chips (before my grease laden feast I had only had a shortbread biscuit and a cup of tea at the E. Tautz film screening, so don't judge me too badly). I did however swing by the store to pick up a copy for myself whilst perusing the fantastic new stock once again and I've barely put it down since. The b store shirt and trousers combination here is just lovely. I want both pieces. 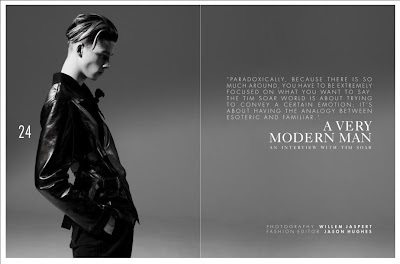 In addition to this home envy inducing feature, there is a wonderfully interesting interview with Tim Soar which is accompanied by a series of images of Ash Stymest styled in pieces from Soar's Aw09 collection. The interview is littered with thought provoking quotes from the designer but there is one I just have to share with you because it simply sums up what he does. "For me, clothes and fashion are interchangeable, but what I find really engaging about clothes is the way they allow you to present yourself in a different way and I play with that all of time." You have to appreciate Soar's investigative craftsmanship and the fact he is willing to take the odd sartorial risk. One of my favourite features is entitled London Now and is a presentation of forty nine creartives from the fields of arts, fashion, film, graphic and film and everything in between. The striking portfolio of up-and-comers shot by Aitken Jolly, from actress Anna Brewster to Fashion East’s newest alumni, Michael Van Der Ham, illustrator Kez Glozier and blog favourites, Carolyn Massey, Satyenkumar and the Casely Hayford's. It supports emerging and young talent and obviously goes beyond the fashion world. Jason wears a shirt and beaded cape both by Peter Jensen. To coincide with the Frieze art fair Paul Smith will be exhibiting the latest body of work from Hormazd Narielwalla entitled ‘A Study on Anansi’ from 10th to 21st October at his Furnishing Gallery. The exhibition will consist of a set of ten artworks drawing inspiration from two sources, Savile Row tailoring patterns and traditional African Anansi tales to create a new body of work. A Study on Anansi is a celebration of the popular character from West African and Caribbean folklore brought to life using the discarded patterns. "Anansi", the trickster, is the wise and clever Earth God but I have to confess to turning to my trusty friend google, for answers. Despite my ignorance, many aspects of these stories have trickled through to Western society and into children’s stories, super-hero characters and fictional literature. In some versions of the stories Anansi created the sun, moon and all the stars. 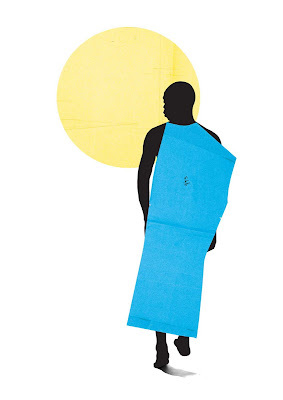 This attribute of the stories makes it through into Narielwalla’s work where Anansi dances, teases and entertains himself with his most prized creation, the sun. I first came across Hormazd Narielwalla's work at EXIT Gallery's "A Fairytale About Fashion" exhibition. 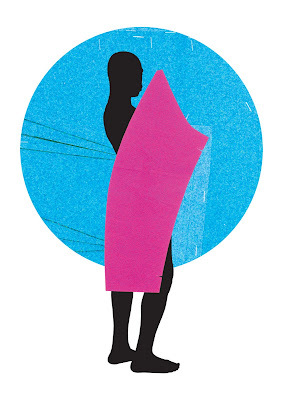 Narielwalla's Dead Man’s Patterns was a design story, beneath the trappings of menswear into the book, the man, the pattern, and his images really captured my imagination. and I just had to post about it. The artists work originates from sets of bespoke patterns, which of course belonged to former customers, now deceased, from a by-gone era. These patterns have recorded a history of intimate dialogues of customer measurements and fittings over a lifetime but no longer have any practical use to the cutter and are often discarded. The talented Hormazd takes these fragile pieces of parchment out of their original context and breathes fresh life in to the creases and careful folds, along finely traced pencil marks and measurements. Opportunities are created by giving these pieces of discarded paper a chance to breathe, simply in the act of extracting, giving them a new lease of life as art objects. For this work, Narielwalla's uses scans, photography, his own sketches and digital composition to create a set of playful artworks that have a traditional look and appeal. 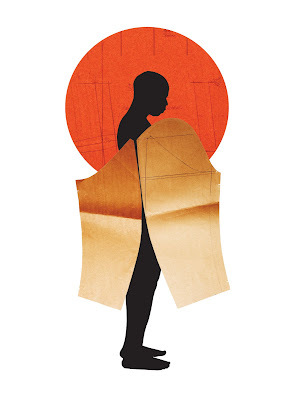 Creating bespoke clothes for the rich and powerful has made Savile Row iconic but in this evocative work Narielwalla is showing us tailoring patterns, as they have never been seen. The patterns are reinterpreted and resurrected; the lives of people measured through tailoring are brought back to life as works of art through even older tales from another world. For the past year and a half Hormazd has had the opportunity to work closely with Dege & Skinner's cutters and tailors. 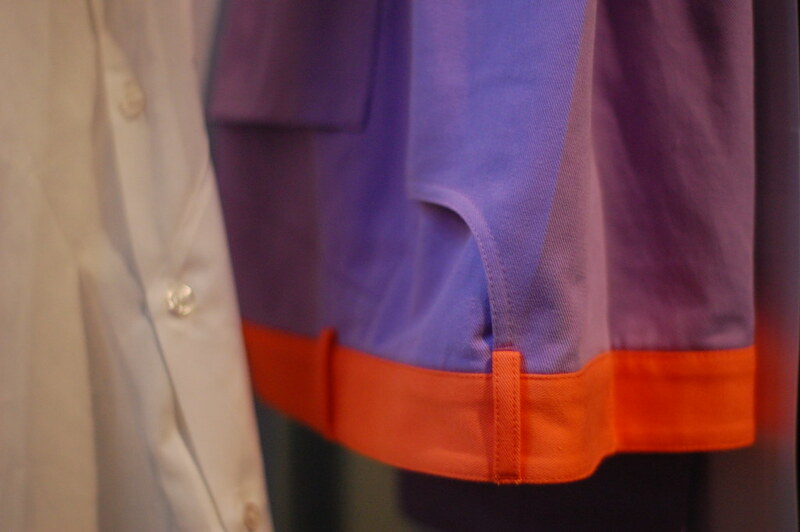 It is in this private tailoring environment that he truly began to consider tailoring as Art. Hormazd has recently been awarded an international scholarship to read a Doctorate in Philosophy at London College of Fashion and his main focus will be on pattern cutting as Art. The artist is currently working on the memoirs of Master Tailor and Chairman of the firm, Michael Skinner. Skinner's story will be narrated through his own pattern cutting journals whilst studying at the prestigious Tailor & Cutter Academy. I can't wait to find out more information on this project and as soon as I do, I'll share it with you. In the meantime, enjoy the selection of artwork above. 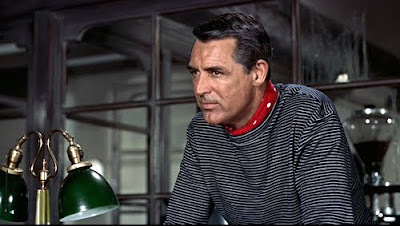 Cary Grant in Hitchcock's To catch a thief. As previously mentioned here on, for S/S 10 E. Tautz took inspiration from a set of photographs of the Duke of Windsor holidaying on the island of Majorca in the 1930’s. Patrick Grant and his team explored the whole idea of an Englishman enjoying life on the Mediterranean in the summer and the above look really caught my attention. It just exemplifies how an good an Englishman can look abroad, the relaxed, almost nonchalent tailoring is a million miles away from the larger lout beach dwellers that come to mind today. 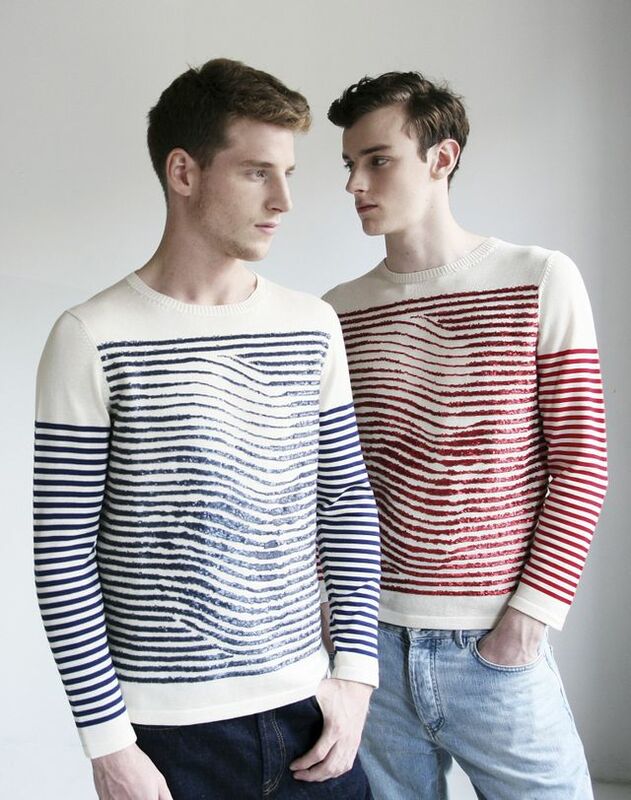 The E. Tautz version of the breton is certainly appealling to my more classic side but there is another, very different version which is also tempting me with its charms. 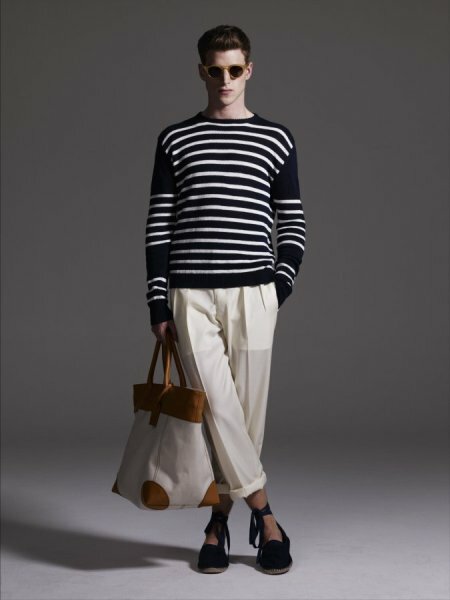 Susie loved Sibling's warped take on the Breton and her enthusiasm is infectious in this respect. Sibling's knitwear pieces frequently combine timeless qualities and tongue-in-cheek references, all expertly knitted with fine gauge precision that never ceases to surprise me. Here, Sibling collaborated with artist Noah Scalin (of askulladay.com) to incorporate his skull patternation into the stripes perfectly. I just can't look at it for too long because it make my eyes feel a little drunk. I am a man currently torn between two bretons. I want them both. During my twitter coverage of Menswear Day I mentioned to getting a tad warm and even little sweaty as the day wore on. Now, I'm not normally a sweaty chap, if I get a little hot under the collar I normally give off a healthy glow (ha!). The reasons for my slight over heating are twofold. Firstly, it was a warm, muggy day which would not have seemed out of place in the month of July but did so in the later stages of September and I was taken a by surprise. 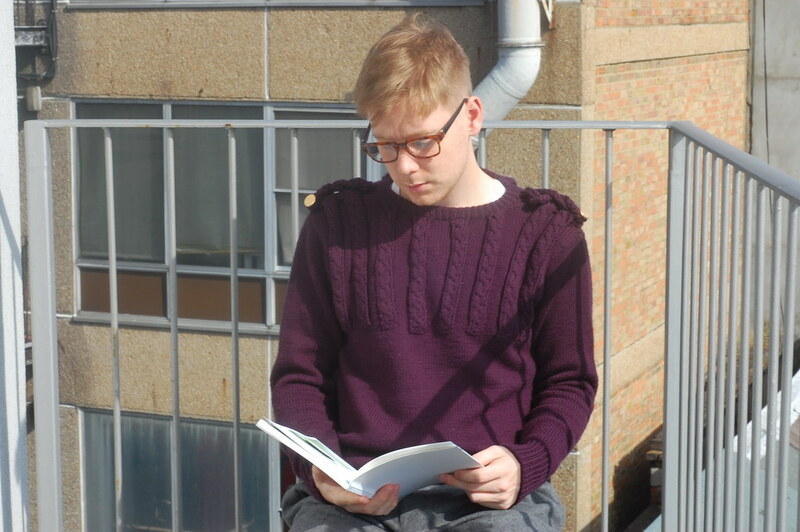 Secondly and most tellingly, I wanted to give my Carolyn Massey AW09 cable knit its first outing because it was the perfect occasion to do so...regardless of the climate! The below shot was taken at the mid point of the day when tiredness was creeping in but as it was taken by our flat guest, Phil from Street Peeper, I'm laughing because he is such a funny chap! Carolyn Massey knit, trusty backpack by Material Boy, white t shirt and pleated grey wool trousers both by COS, socks from uniqlo and Stingray Orwells by Mr Hare. Shot by the lovely Street Peeper. After inspecting the knitwear pieces up close (at the studio and at the Reflect Forward exhibition) I was left gushing at the cable knit pattern and I needed to own a piece and this one was just perfect. I have been in possession of this beautiful knit since mid July and it has been almost painful having to see it every morning and not having the opportunity to feel the soft, warmth of the wool because of the sporadic days of sticky sunshine we experienced at the tail end of Summer (oh boo hoo, I hear you cry and I have to concede that you'd be right but bear with me). Well, the opportunity to wear the knit to Carolyn's show and to support British menswear on the day proved too enticing and I teamed it with the best of the High Street and finished it off with those shoes. Despite seeing some folks in Spring/Summer attire I dashed from show to show, a little warm but extremely pleased. 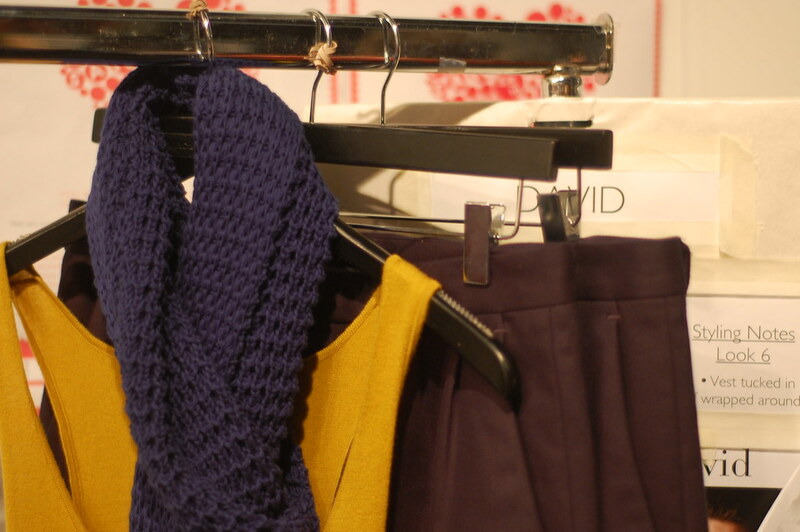 I can't wait for the temperature to drop that bit more so I can wear my knits every day! In one of the highlights of LFW, the BFC teamed up with Topman to support rising menswear designers with the launch of NEWGEN MEN. As well as seeing the show I was fortunate enough to nip backstage to inspect the collections up close and take a few snaps. Prior to the show, Gordon Richardson described the exciting initiative as one that "rightfully positions menswear at the fore front of fashion providing a deserved platform for the very best menswear talent" and the show certainly didn't disappoint. The privilege of being the first designers to share the stage at the inaugural showcase deservedly went to James Long and Carolyn Massey. In many ways these two, very different designers perfectly encapsulate what’s great about London’s menswear design scene at the moment. Andy Warhol's 1978 artwork 'Oxidisation' was the starting point for James Long's inspiration and from there the natural world took over. Techniques used to translate his starting point included bleaching, hand tie-dye and foiling. Leather had the appearance of being tarnished by the rain, whilst waxed cottons and and foiled drills seem to have corroded and the dye oxidised. This collection combined with Patrick Eervell's fabric experimentation makes me wish I paid attention in my Science classes. Who knew the natural world could help create such interesting effects? The deceptively striking colour palette came alive backstage under the lights. Apparently Warhol used to urinate on copper, which made it look a bit like a camouflage pattern. Long's collections frequently have army references in them but none so blatant as in this collection. However, he twisted and fun with this aesthetic and made it appear war torn in places, then added a shininess to it and even tie die in others. Fabrics with both a matt and sheen appearance are combined with foil to reflect light and to create layers of texture. The deceptively striking colour palette of black, metallic green, sun bleached peach and the 'polarvision style' washed out colours of oxidised metal and rust also played out in the accessories including leather lanyards, man clutches, satchels and weekender bags. 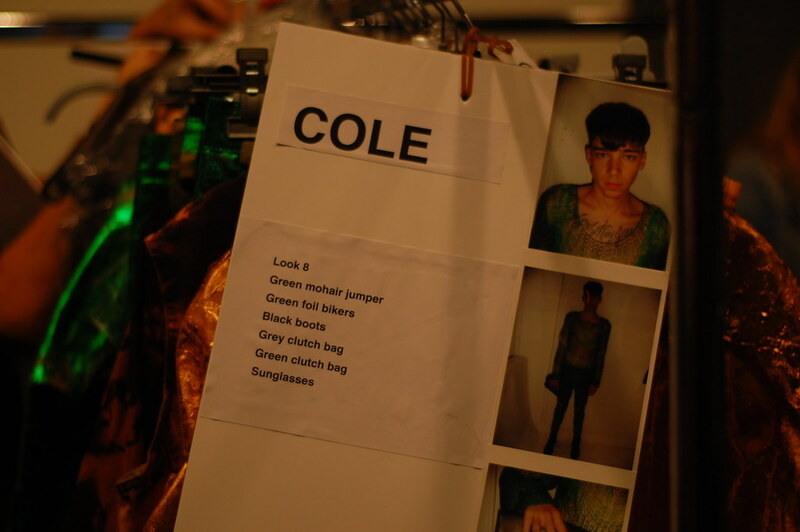 It featured some of his most wearable and commercially desirable pieces to date. I grabbed James for a quick chat after the show and one of his remarks left a real impression on me. 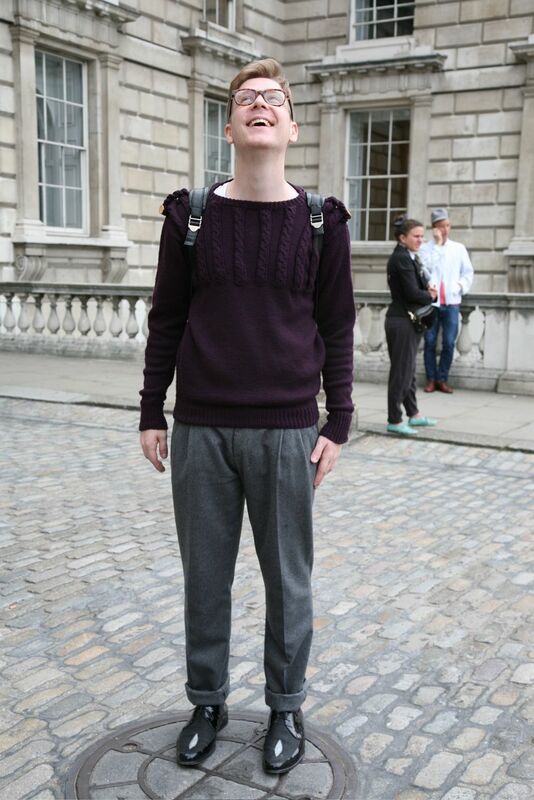 He reminded me that had it not been for NEWGEN MEN he would not have showed at this years LFW. What a crying shame that would have been! Carolyn Massey has always been a firm Style Salvage favourite and it has been great to watch her develop the label over the last few seasons to become one of the most significant menswear designers around. Here, as mentioned in previous posts, she was inspired by the film 'Heroes of Telemark' (a film about heavy water sabotage in WW2 starring a rather tanned Kirk Douglas) and a recent visit to one of Kent's fishing villages Dungeness. Here her gentleman explores the great outdoors in suave protective gear. Lightweight trenches and bombers in technical fabrics with drawstring waists and utilitarian pocketing, pushed both fisherman and military wear in a modern direction and in one which most men would love to wear! The show standout waxed jacket, complete with detachable rucksack rocketed to the top of my Christmas list (I must have one!). The braided belts, key rings and troddles on the arms of Massey's knitwear consultant, the lovely Lynn. Accessories were granted greater prominence than in previous seasons and were styled extremely well. 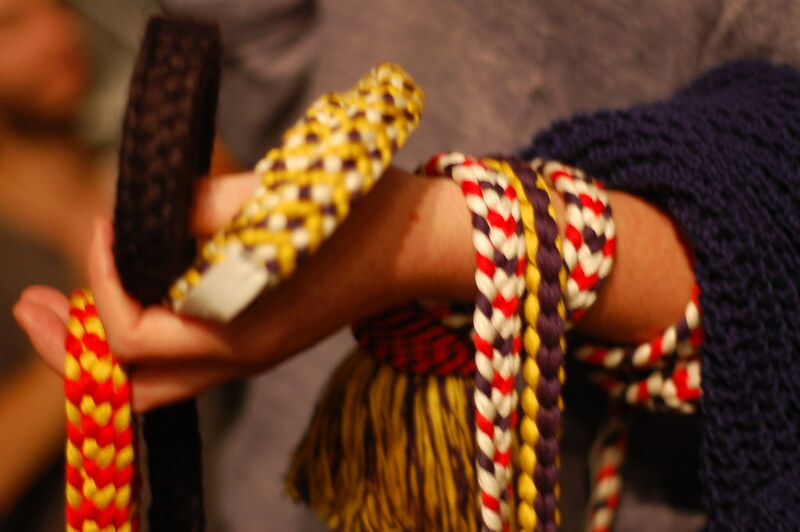 Massey has branched out in to a small bag collection, belts, key rings and troddles (traditionally used by the German army) and was inspired by the craft of Kumihimo, to create cotton ropes and braids. Having already had a sneak preview of the collection back in July I was a little shocked at how much the collection surprised me and left me in awe. The pieces came together perfectly to offer protection and function whatever the weather whilst colour, including mustard yellow and rich blues, was splashed throughout to create a collection to truly covet. Lodger provided the shoes for Massey's show. 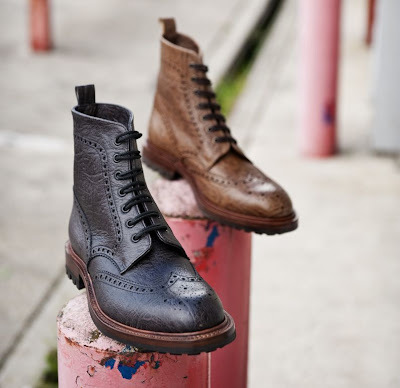 I want, nay need a pair of brown brogues like these. On the announcement of the LFW schedule, Sarah Mower remarked that "the stream of talent in menswear that has been coming out of London has turned into a torrent. The arrival of NEWGEN MEN puts in place a support system to nurture this spontaneous outpouring of creativity for the future.” These are undoubtedly exciting times for menswear here in London and as the first recipients of the award, James Long and Carolyn Massey have successfully showcased how different menswear can be. 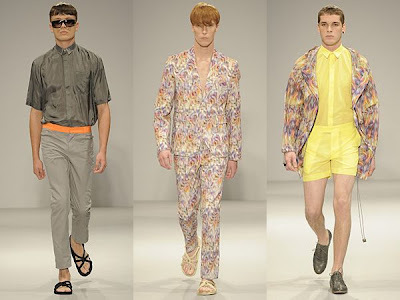 The menswear design floodgates are open, here is to the next surge of talent! An afternoon reading Behind the curtain, wearing my AW09 Carolyn Massey knit and wool trousers from COS. I have to confess to being a little fashioned out or at least a little overwhelmed by the all singing all dancing side of the industry. My brain has been overloaded with catwalk shows and installations in various guises and I need a little rest. If you are suffering like me then I think I have found the antidote. Before Carolyn Massey's wonderful show launched the wonders of Menswear Day, I found a bow adorned copy of Baxter and Brooks' Behind the Curtain which I flicked through before the show started and since the day has finished barely put down. 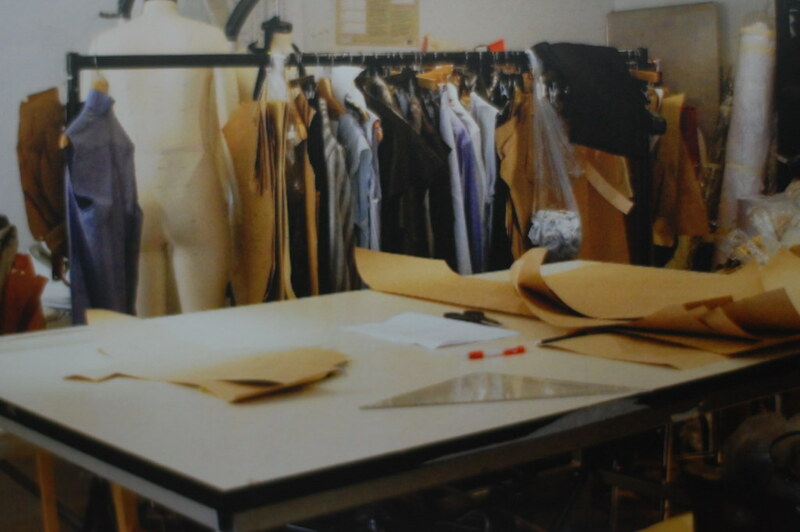 Behind the Curtain aims to celebrate British Fashion whilst examining the bones of the industry, highlighting all of the hard work and determination required to make it in the industry. It exposes the traits often neglected in the fashion press and certainly in the glossy editorials that inspire and transfix so many. Through doing this, Baxter and Brooks aim to raise awareness of the fashion industry as a viable career option to undergraduates and creatives. The fashion industry and the people who make it what it is are real not fantasy, and on the most part human after all. Baxter and Brooks' behind the curtain series kicks of with Carolyn Massey. "People pick up Vogue magazine every day and see the glossy shimmer. That's all well and good but that is not the bones of the industry. It's a lot of people working extremely hard for what they do." Carolyn Massey. 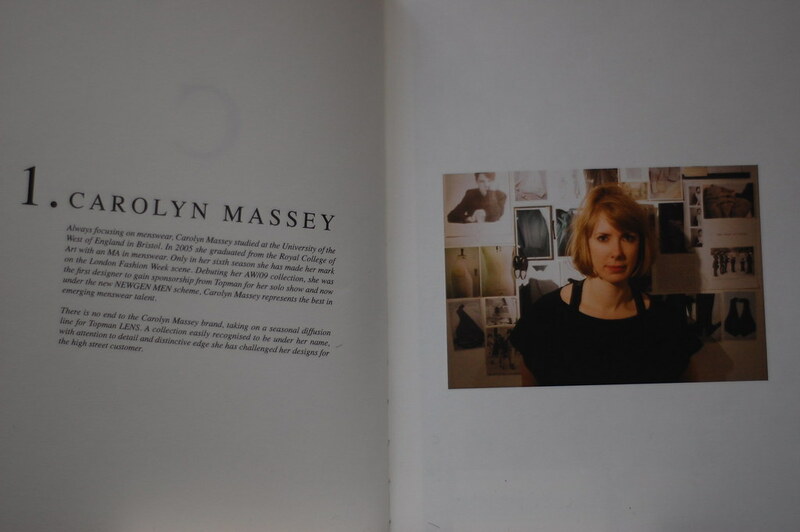 The creative promotions partnership want to produce a collection of books exploring the field of British fashion practitioners and their dedication to the future of the fashion industry, the journey begins with Carolyn Massey. She declares, "there is absolutely no way on earth I could do this without a team and that's why London creatives support each other a lot more than anything else." 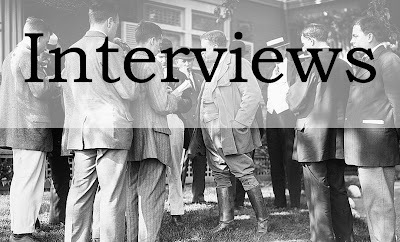 The introduction to the interview with Carolyn. Following the introduction and chat with the designer, we are introduced to Carolyn's talented team through a series of interviews. 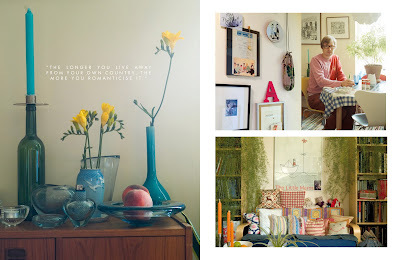 We meet Nic Spracman who has been working with the designer since October 2008. Lynn Cockburn who is Carolyn's Knitwear consultant. Clare Armstrong who graduated from studying menswear at Bristol University in June 2008 and has been interning ever since. Masashi Nozaki who is working with Carolyn part time whilst he completes his menswear course at LCF. Last but certainly not least, we meet Colette Gielty who has known the designer since studying together at Bristol and is now the studio manager. The chats with each member of the team demonstrate how close and how hard each member works to bring together a Carolyn Massey collection. A wall at the Reflecting Forward Exhibition which the whole team worked on. The series of interviews took place during the set up of Massey's Reflecting Forward exhibition and analyses the dynamic of the studio and those who form it. The interviews demonstrate how close Carolyn is with her team and they all work in a friendly, supportive environment. 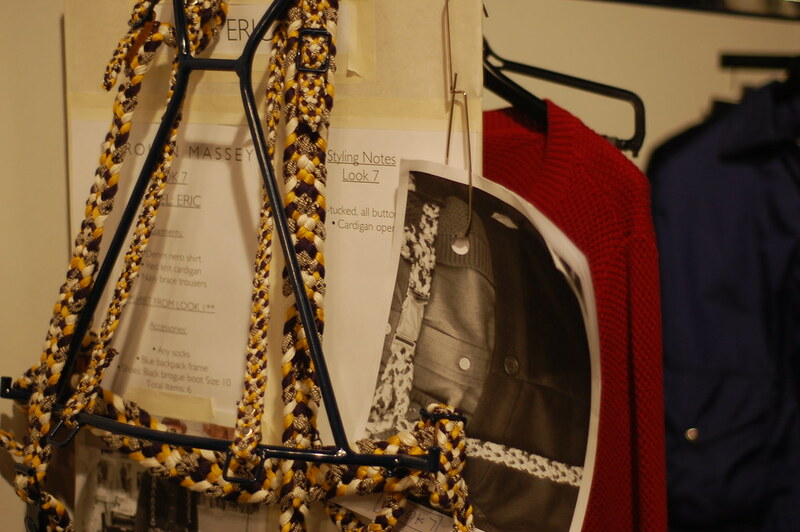 All shared a love for working with Carolyn and for menswear design. Behind the curtain is the antithesis of the bright lights and the army make up clad models that we have all seen over the last few weeks and what we see in glossy magazines (when we can afford them) every day. For some, it might not portray the romance and other worldliness many associate with the fashion world but for me it shows the real love and passion that goes in to it and that for me, is the real romance. My only gripe with it is that I didn't think of it first. Together, Fleur Baxter and Ruth Brooks are promoting and encouraging a new generation to consider a career in fashion by showing that it is made up of (on the most part) real people who are brought together by a passion to create menswear. For those of you eager to get your hands on a copy for yourself or if you want to find out more, drop the girls an email and comment below. Satyenkumar SS10: Reflection through a lens. You might have noticed that the Menswear Day shows were a little light on colour as many designers delivered a surprisingly dark, industrial, almost sombre colour palette. Too many depressing summers in this country maybe? Not for Satyenkumar. 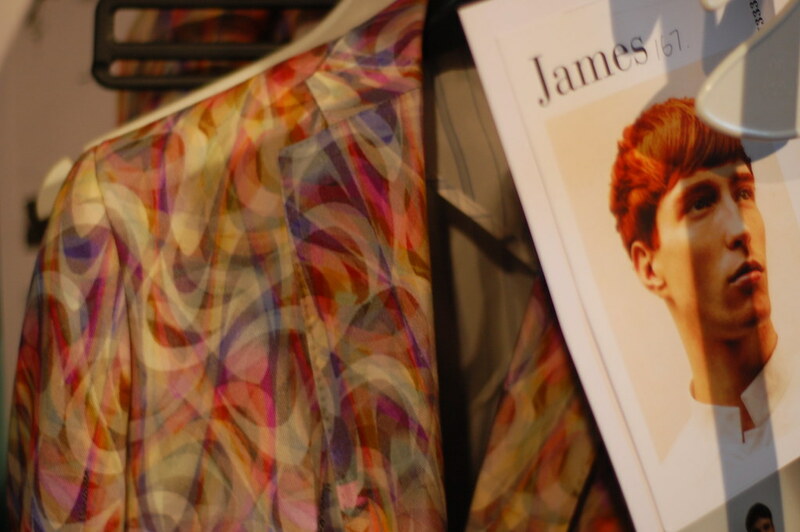 His collection was a kaleidoscopic travel through a lens! Inspired by sunset to sunrise, with background sounds from the Petshop Boys' Domino and underground Acid/Chicago being huge influences. 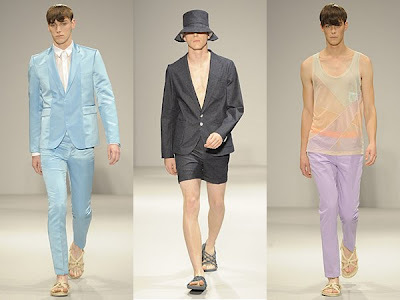 Anyone hoping to bathe in the sun on a beach somewhere next summer would surely love this collection of colourful, lightweight tailoring. This season focusses on sharp tailoring worn with enviable ease and a timeless yet modern hybrid of classics. Seemingly weightless outwear, jean inspired trousers and pyjama shorts, sheer/dense mix shirts, rainbow-patchworked vests and featherlight unlined blazers in Swiss Voile, Habotai and Tulle. A true celebration of colour and lightweight tailoiring. 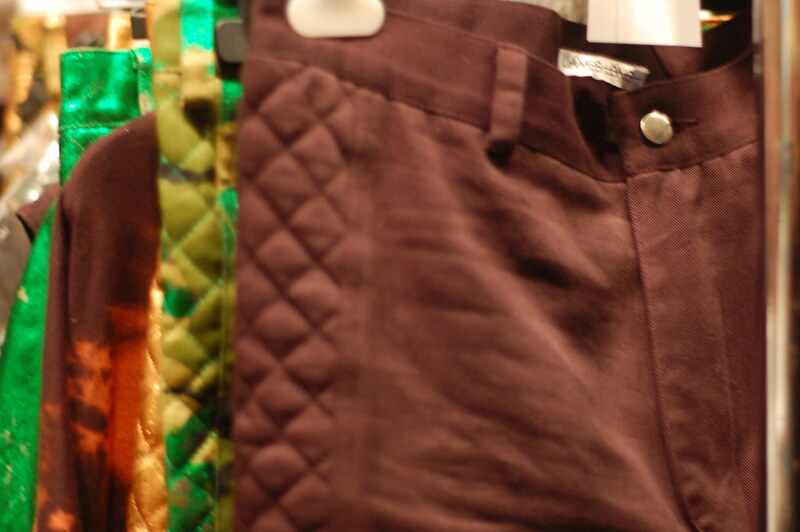 Jean inspired trousers with contrasting waistbands. Satyenkumar is a designer who has always quietly gone about his business of creating quality tailored causal wear for the modern eccentric English playboys, almost going unnoticed at times. Daniel Jenkins has been stocking Satyen's designs for a few seasons now and has frequently reminded me of his talents. I certainly think we'll be hearing a lot more about him after watching this show and deservedly so. 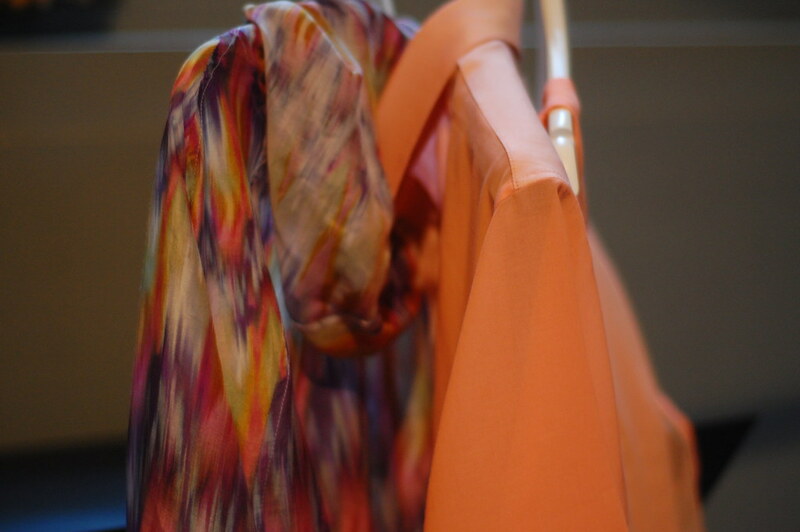 Here is to a Spring Summer of sunshine and colour! Lodger have recently launched their twitter page and will be sharing a few updates on what they’re working on that won’t be mentioned anywhere else whilst causing a little stir every Friday. We spoke to Nathan during our interviews earlier last month (here and here) and the main idea is to use Twitter to add a little excitement to all of our Fridays. Every Friday they will host a reverse auction for a pair of Lodger shoes. The pair will start out at the retail price and drop £2 every minute. For the first auction they’re going to put a custom-made pair of their September Shoe of the Month, the breathtaking Kudu Brogued Boot, on the block. What a way to pass the time on a Friday afternoon! When Steve declared that he had succumbed to their flirtatious glances and ordered a pair a number of your eyes turned green, well here's your chance to own your own pair. The winning bidder will get to select his favourite colour (Steve prefers the grey whilst EJ favours the tan) and a pair will be made with his name hand written inside. The first bidder to get in touch via, email, phone, or venturing in to the shop itself gets the shoes at the price of the moment. How long can you hold your nerve? Happy bidding! Let us know how you get on. As you all know, I picked up the latest issue of Fantastic Man last week and every chance I get I either wax lyrical about it to anyone who has a spare ear or when that gets too annoying for those around me, I re-read it, quietly nodding and whooping inside. Inside the first few pages of the fantastic issue, I was greeted with the news that Jop van Bennekom, Gert Jonkers et al were finally unveiling a new website. Fans of the magazine will know that it used to be little more than a holding page with the opportunity to take the odd scan from the pages inside. It was far from fantastic. It has however relaunched as a full on interactive website, with a forum, a daily recommendation (today's is rising menswear design talent, Christopher Shannon) and my favourite aspect, a monthly outfit post entitled ‘the look’. We are told that this feature "is a monthly suggestion of an illuminating mode of dressing for gentlemen of the modern age." Mr. Oliver Evans is wearing a long-length double-breasted jacket from Yves Saint Laurent over a white T-shirt from Sunsprel. His long johns are from Comme Des Garcons. The brown lace-up shoes are from Church's and the black briefcase is from Tom Ford. "This September it’s time to go back to work, and revealed here are the unforeseen benefits of a longer line jacket lest one forget to wear trousers." The Yves Saint Laurent Jacket used here is beautiful. Over the course of the last month or two I have encountered the sight of a number of packages (mostly small) and the look would certainly have benefited from a longer jacket or actual trousers because I'd rather not have anything like that in my eye line! Oh what a day! 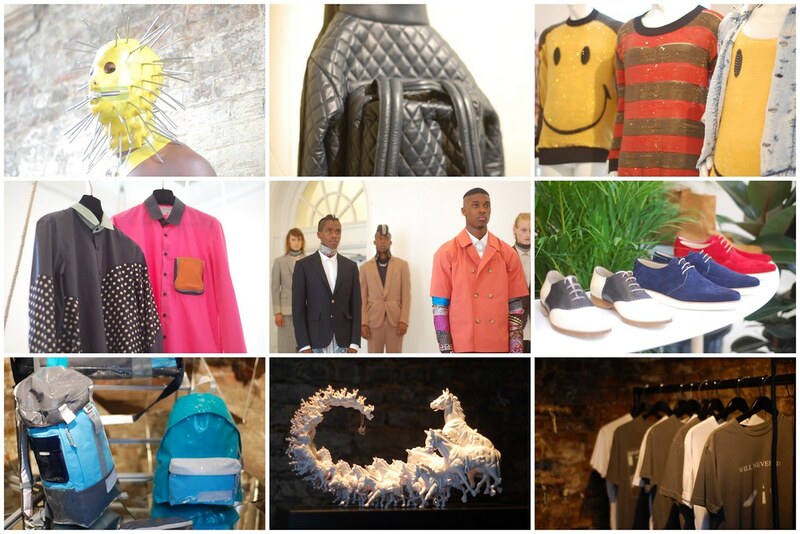 Yesterday was truly a celebration of menswear design talent in the capital. The eclectic bunch of designers came together beautifully to showcase how diverse menswear can really be. Yesterday, saw the exciting launch of NEW GEN Men with James Long and Carolyn Massey kicking off proceedings and then of course there was MAN later in the day which continues to be a great vehicle for launching and nurturing new talent. I've written show reports for Topman's blog (which are now live) for all of the designers involved in these shows so I don't want to speak about them again just yet. For me, nothing represented the diversity of menswear more than Fashion East's Menswear installations. 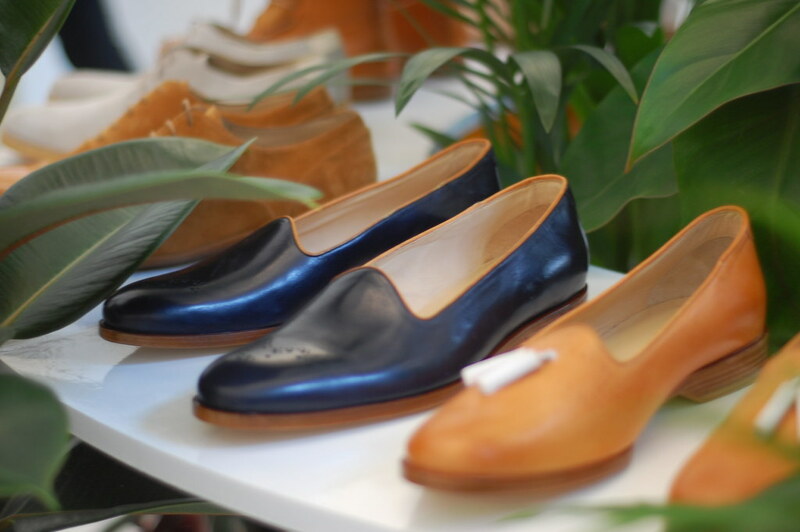 The above slip on hot steppers are on my Spring/Summer want/need list. From left to right, Sir Jablonsky and my current favourite, the Victor Boa. As mentioned previously each shoe is named after one of his favourite dancehall generals, Cachao, King Tubby, J.Dilla, Jerry Lee Lewis and even Phil Spector all feature. 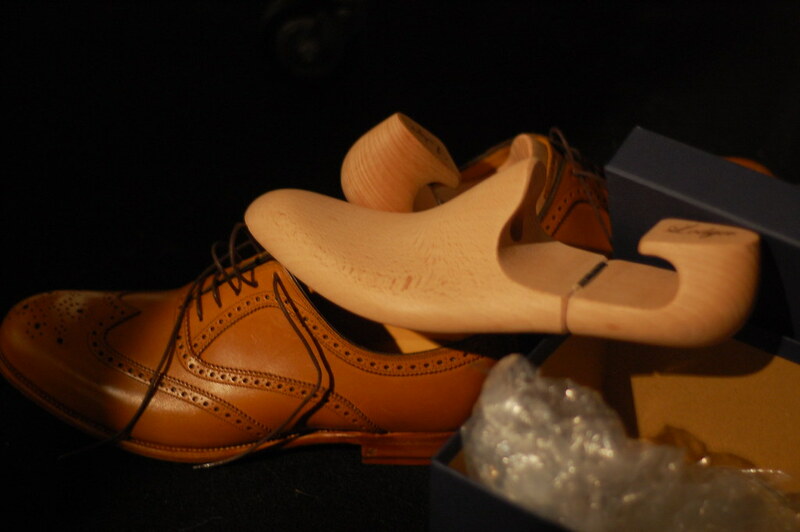 As well as the introduction of these new models, Mr Hare reworked a number of highlight models from his debut collection. The below tanned version of the Kerouac's are just beautiful. The Levan and the reworked Kerouac. 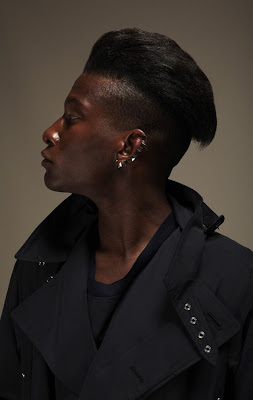 We got an exclusive look of Casely-Hayford's SS10 collection yesterday with their leading look book image but this taste only intensified my hunger to see the collection in full. Regular readers will know just how much I loved their AW09 collection and I was eager to see what they had in store for us next. 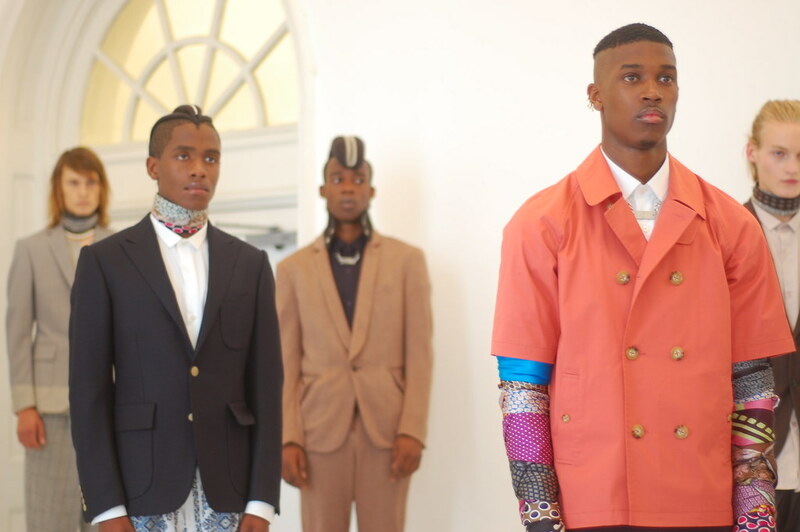 Casely-Hayford's Kings of the Kings Land. For SS10 the design duo took inspiration from the Kingland Road area of London, a seemingly unique and uncoventional corner of the city where original EastEnders co-exist with the more recently landed public school boys. For me, when I think of the area my stomach begins to rumble as I think about the abundance of tasty yet cheap Vietnamese restaurants. 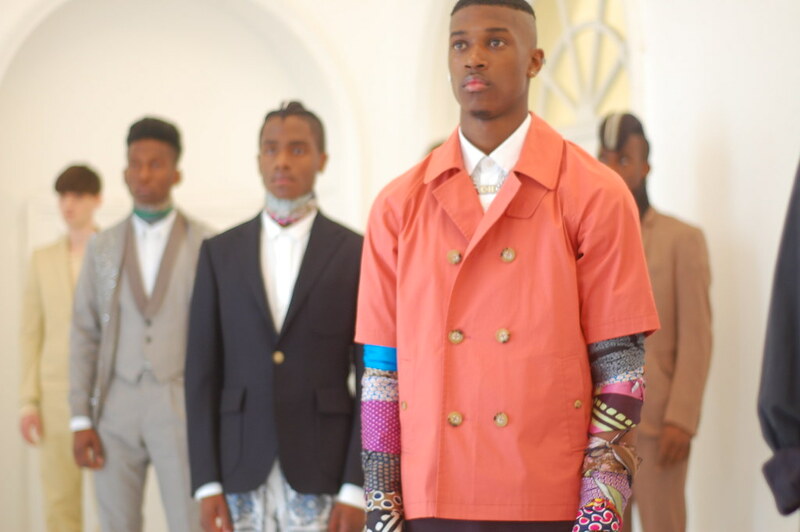 For the Casely-Hayford's the incongruous social mix conjures up a rich sartorial vocabulary. The area is home to more artists than any other part of London and these creators have spawned a plethora of contemporary visual statements which have collectively forged a template for a new English style. The pattered trousers of 80s style body builders originate from King's Gym. Chic, streamlined sportswear of the area has become something of a uniform of the modern day Rude Boys. As embroidered brogues and printed garments fuse elements of traditional English tailoring with the ornate embellishment of Turkish handwork and craft. The palette is understated and somewhat subdued using their signature colours of mushroom, navy and cream but vibrant colours burst through the collection with accessories inspired by African textiles. The emphasis is on lightweight tailoring, super light outerwear, transparency and print. 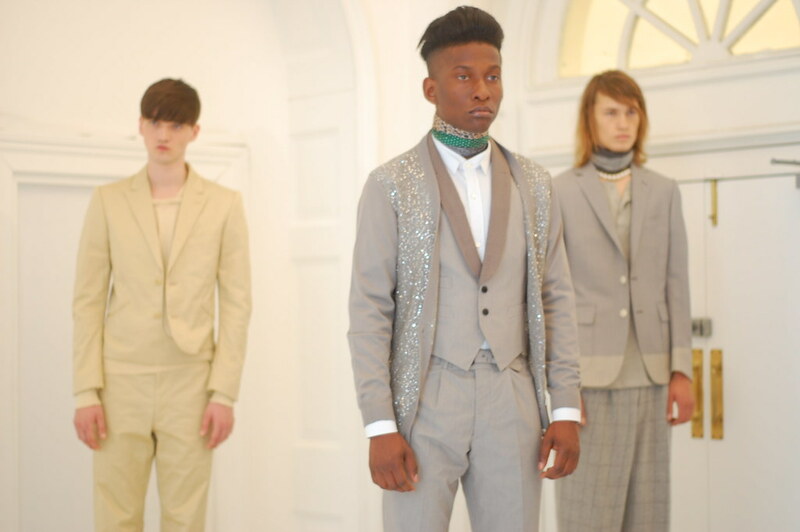 For Casely-Hayford SS10 is about a dangerous elegance and I'm not frightened of a little danger now and then. The last area which I'd like to quickly mention before I bore you all is H by Harris's padded cell which was located deep in the vaults and showed off his quilted accessories. We interviewed former stylist Harris Elliott back in August but this was the first real chance I had to inspect the collection up close. 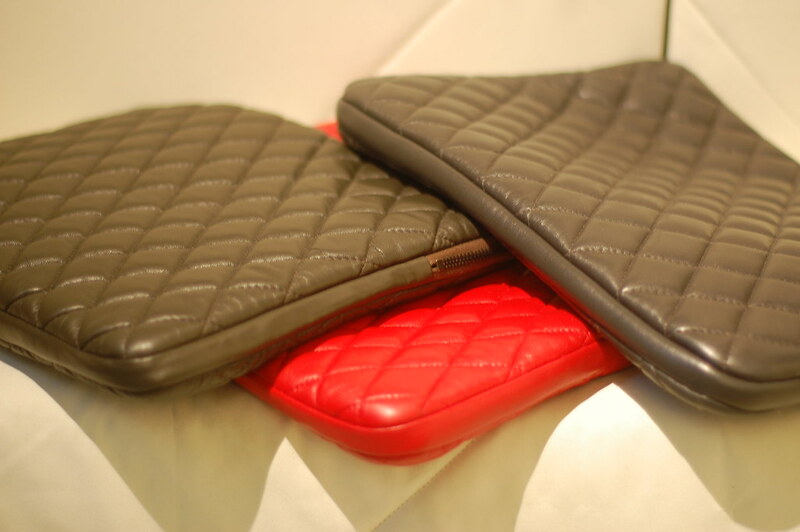 As mentioned previously, the debut H by Harris collection comprises of two lines, the Q hand quilted nappa leather and the SH wax hide leather collection. Styles include rucksacks, totes, weekend bags, satchels and laptop skins and of course the H jacket which I've been drooling over for some time and even more so now I've seen it. H by Harris' H Jacket. 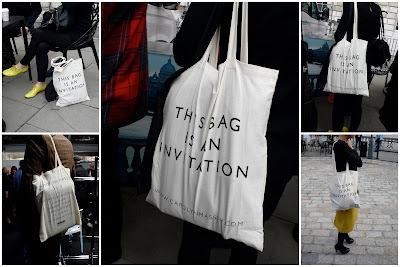 Carolyn Massey's tote bag invitation. SS: What were your inspirations for the collection? Charlie Casely-Hayford: This season is called 'Journeys through the Kings Land' and documents the trans-cultural mix that is so prevalent on Kingsland Rd in East London. 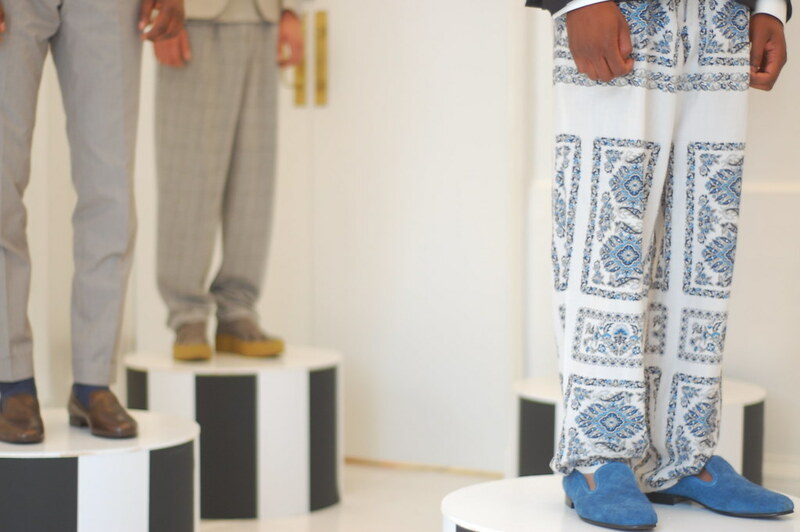 It enabled us to work with the hand embroidery (embroidered brogues) and print inspired by the turkish artisans at one end of the Kingsland, Strong colour mixes of the African community from the other, as well as fusing the signature aristocratic style of newly landed public school boys and the clean and streamlined modernistic sportswear of london rudeboys. SS: What are you most looking forward to showing on the 23rd September? SS: Have you got any anecdotes of making the collection that you can share? Charlie Casely-Hayford: We have had to force one of our models to wear our Allotment Creepers (a combination of brothel creepers and allotment keepers sandals) in a size 8, he a size 11 on a good day. I'm a little worried he may never walk again. Charlie Casely-Hayford: Neckerchiefs - they have a beautiful sensibility about them that is often mistaken for overt femininity and so are consequently often disregarded as a staple wardrobe piece. SS: Aside from your own, which collections are you looking forward to seeing? Charlie Casely-Hayford: All the H's. Mr. Hare and H by Harris. Also the Sibling knitwear is definitely doing it for me. An exclusive look at the leading image from their SS10 Collection, Kings of the Kingsland...more on this later. Now, I've always been told about the importance of stretching before exercising. With this in mind, I thought it best to prepare myself for the onslaught of menswear design that tomorrow promises to throw at me, by easing myself in to it all with a visit to Jeanette's, to raise a toast to Omar Kashoura whilst marvelling at his SS10 collection. It is a crying shame that Omar didn't quite make the schedule at Menswear Day (fingers crossed for next year!) but the presentation and party at Jeanette's certainly celebrated this exciting designer. We caught up with Omar just as he was applying the finishing touches to his Popeye in Trouville collection before packing his bags for Paris' Capsule trade show. After receiving a great response in Paris he has returned to London to show it off. At the sneak preview I was particularly taken with a print which showed two crabs getting intimate on a pebble beach and it has been turned in to the most beautiful tailored pieces. Omar worked with Rosie Davies on the prints. Rather than explore typical sailor chic, this collection really conjures up memories of the seaside and the prints certainly help. Omar found the character of Popeye fitting for the season but the real inspiration came from the musical Gigi and looking at men, how they dress up, from costume to every day life. 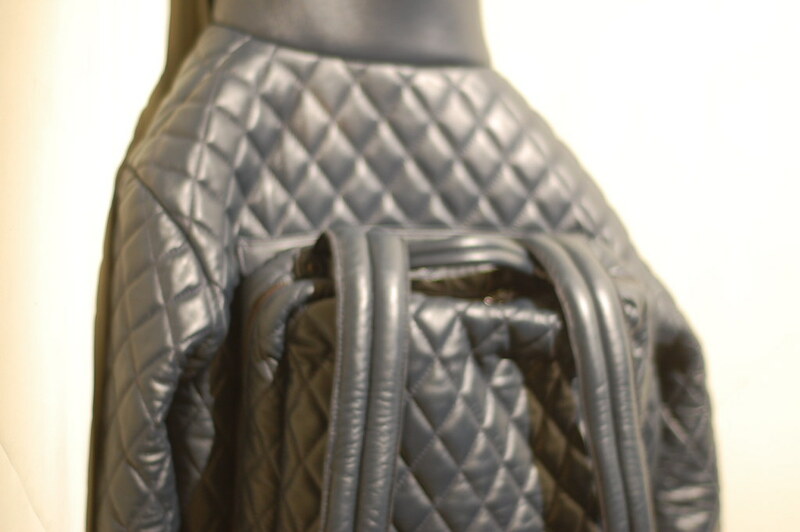 Omar's attention to fabric choice, detailing and finish are second to none. 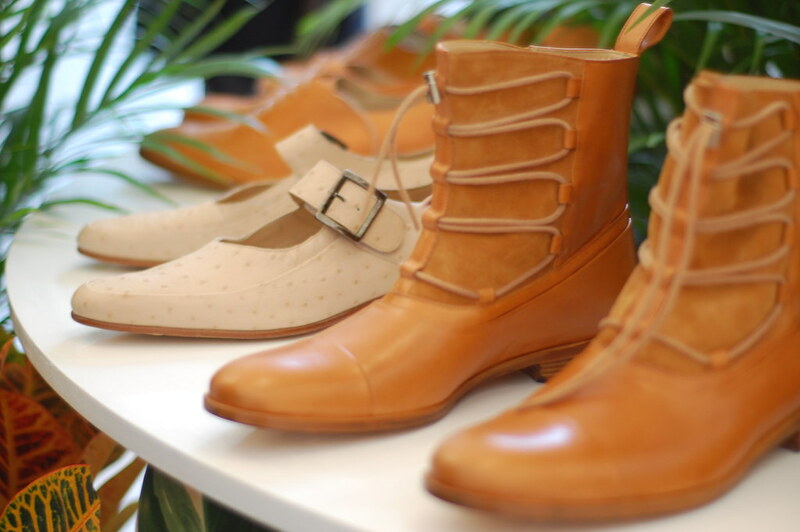 As well as showcasing Omar's SS10 collection the event unveiled an exclusive in store project. The designer has teamed up with store of the moment Jeanette's to create an exclusive wardrobe on show featuring a jacket, shirt, t-shirt and trousers, as well as accessories collaborations with Jarah Stoop. The capsule collection was captured on film and was screened on to the walls of the shop, depicting each garment morphing in to the ultimate Kashoura and Jeanette wardrobe. 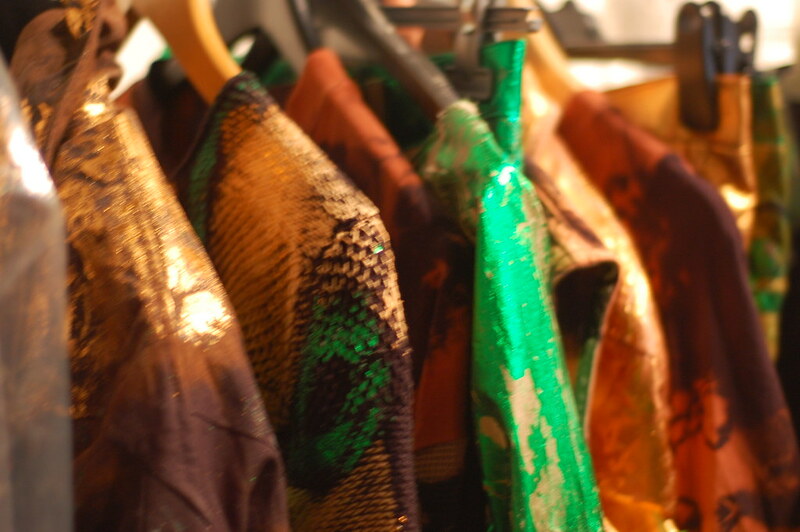 As mentioned above, Omar collaborated with Jarah Stoop for his AW09 collection and has done so again here.